What makes CP Pro Case Classic different? 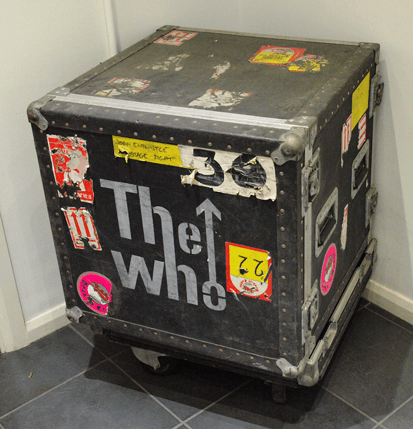 About Flight Cases….. Many flight cases look similar, black or coloured plywood panels, chunky corners, butterfly latches, lots of pop rivets etc….it’s only when you look underneath the skin, do you come to realises that some flight cases are mere facsimiles of others, and that many cases on the market today, masquerade as flight cases, but are flimsy sub standard products that just disintegrate at the first moment of stress, shock, vibration, impact and DROP. We would like to tell you about the unique features of our Pro Case Classic & Pro Rack Classic that has made these cases the most sought after flight cases in the world, and why every discerning Pro Case Classic customer chooses them, from the legendary 70’s & 80’s touring rock bands, to the Blue Chip FTSE’s and Fortune 500 companies around the world. In 1971 CP Cases was impassioned to design and build the very best flight cases in the world – bar none. The two original founders were themselves, experienced semi pro musicians, who (in their day jobs) worked in the Pro Music industry and were rubbing shoulders with the touring Pro Bands on a day to day basis. 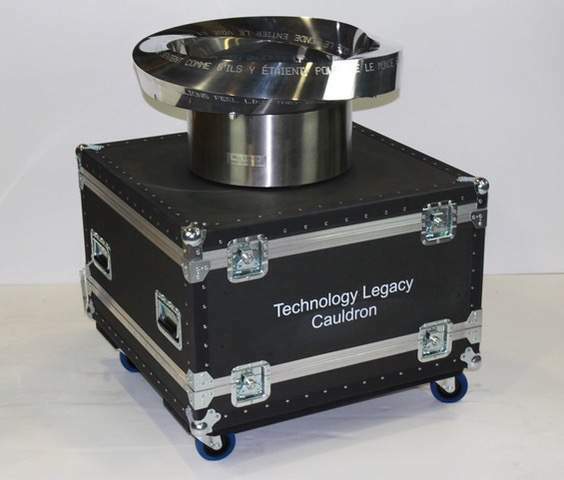 The insight that gave, as to what the market really wanted in a flight case, was clearly obvious – rugged, delivered on time – every time, fit for purpose and a case maker who deeply understood the needs of the customer / application. We researched every single component part, without compromise, to find the very best raw materials, the hardest wearing surfaces, the highest quality hardware and the strongest and most long lasting riveting techniques. No quarter was spared in trialing and performance testing our products. We road tested them, punished them with immense impact and drop testing, shook them, drenched them, left them in high humidity climates, in the tropical heat and in the cold of the Arctic. Many of our customers are still using Pro Cases Classic cases that they bought nearly 40 years ago, where the cases still perform and protect as they did when new. We know for a fact that there are many “Million Mile” cases out there that show little sign of wear and tear, show no functionality loss and will continue to faithfully serve their owners for decades to come. We only ever use Finnish / Baltic birch combi WBP plywood. This sustainably sourced plywood, consists of thin cross laminated sheets of birch and spruce which are bonded together, using phenolic resin adhesives – under huge pressure and heat cured. We’re often asked if we use “marine plywood” – let’s dispel this myth about marine ply – which is only called “marine” because it is bonded using the very same phenolic resins that we use on our Baltic plywood – the big difference is, is that Baltic birch is much MUCH tougher and harder than lightweight marine ply – and therefore offers a far superior “fix” for rivets. For more info on WBP plywood see here. Exactly the bonding same process is used to laminate our unique vulcanised fibre (VF) ( http://en.wikipedia.org/wiki/Vulcanized_fibre ) external protective skin – giving the individual panels a strength and resistance to impact and abrasion that is second to none. The combination of WBP birch plywood bonded to VF is recognised by many extreme sports equipment manufacturers, where it is the material of choice for performance ski’s and skateboards. This sheet is a laminated plastic composed of only cellulose. The 0.50mm thick material is a tough, resilient, hornlike material that is lighter than aluminium, tougher than leather, stiffer than most thermoplastics. The newer wood-laminating grade of vulcanised fibre strengthens wood laminations used in skis, skateboards, support beams and as a sub-laminate under thin wood veneers. VF provides an unobtrusive uniform matt black surface finish, is almost impossible to abrade or cut through, will not burr – even after years of extreme abuse and rough handling, is lightweight (lighter than aluminium) and readily accepts decals, stencils and screen printing. Each panel is accurately machined to size, before adopting cabinet making techniques to pin and glue them together into a 6 sided “cuboid”. The PVA adhesive is left to cure, before we trepan off the lid, giving us a 5 sided base and a 5 sided lid that are already rigid and strong – before any edging, rivets or hardware is even fitted. This construction method is one of the “unseen” elements that ensure structural longevity, resistance to impact and performance integrity. From the outset, we were worried about the handling problems of using aluminium edging. Whilst aluminium is lightweight, it burr’s very easily when dragged across rough surfaces. Handling thereafter becomes so hazardous that thick (gardening) gloves have to be worn to prevent hands and skin being ripped and torn – ask any touring roadie – you’ll get the same answer. Another concern was that of weight – whilst aluminium is perceived as a lightweight alloy, it is significantly heavier than VF. Therefore our material of choice, inevitably, was the same vulcanised fibre that provides abrasion and impact resistance to the case panels. We carried out extensive field trials of how VF would stand up to truly abusive treatment – abrading along a narrow edge, continual scuffing across the tailboards of trucks, dragging over rough ground and up metal stairs, tumble tests and straight drop tests. The results were undeniably conclusive – VF was by far the better material for edging – but we opted to increase the material thickness threefold – to ensure a lifetime of faithful service. This meant we had to cut and form strips of 1.5mm thick VF into 90degree right angled edging strip – easy…..
Just get yourself a set of fully geared graduated forming rollers – going from flat to >90 degrees in small increments, ensure that each graduated pair of mating rollers have a high tonnage applied to them equally, and then (if that’s not enough) make sure that they are individually heated (and I mean very hot!) to ensure a consistent result of repeatable VF heat forming that finally gives us Pro Classic edging strip. There are literally 1000’s of different types of rivets in use today – choosing the RIGHT rivet for the job is not as simple as it may seem on first sight. Considerations have to be given to what the rivet is expected to do (shear, tension, compression, torsional stresses) what material the rivet is made from, what materials the rivet is fixing together, how thick are the combined substrates, what profile the rivet head should have, what is the shank length, what is the shank diameter….the list goes on and on…. Most flight case makers opt for an aluminium pop rivet, straight off the shelf, readily available in small quantities , many sizes, no need for investment in special machinery to set them – in effect, and with almost no outlay, you can easily fit them in your garage at home. They do have however many shortcomings, the most important of which are, they have very poor shear strength (very much required when a loaded case is dropped), the heads wear away very quickly when repeatedly dragged over rough surfaces, and standard pop rivets allow water to pass straight through them. We carried our much research into finding the most suitable rivet for flight case construction – a rivet that gives excellent shear strength, excellent pull out resistance, and one that will not wear away when continually abraded or dragged over rough surfaces. The only contender which passed all these tests with flying colours is a machine driven, self piercing, nickel plated steel rivet – either semi tubular or bifurcated – depending on the substrate / application. Build Sequence – all the individual component parts are mustered together, on the specially designed pneumatic assembly benches and the build begins. Every Pro Classic, during manufacture, is accompanied by an engineering drawing, that gives a fully detailed Bill of Materials (BoM), assembly instructions (often depicting detail graphics), internal foam or compartmental designs, and any special instructions that the customer / application has requested. 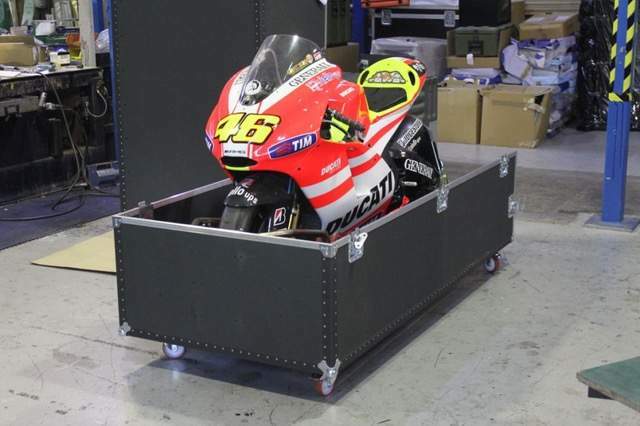 After travelling through the assembly process, the case is hand fitted with internals such as foam, dividers, compartments, drawers, struts etc. Our Foam Engineering Dept is able to craft various types of foam (PE/PU/Nitrile etc) using CNC programmed routers, band saws, slitting saws, oscillating blade cutting, or sometimes hand sculpting to achieve the exact fit required. Semi-tubular rivets Final port of call is the cleaning and inspection department, where a close and personal examination of the case is made, fully checked against the drawing, detail cleaned and then finally sent to the despatch dept which wraps, packs, palletises – whatever is required to get the case to the customers door in pristine condition. We take a great personal pride in every product we make, we track it through its build process, have operator sign off procedures in place in every department, and should there be any doubt, in anyone’s mind, throughout the whole process, the job is stopped, examined, and fully reviewed before any further work is carried on. Every case, hand crafted and built with TLC. Why we are so confident in saying CP Pro Classic Cases are the very best……. whilst we don’t like to blow our own trumpet, time has proved that Pro Classic cases last more than a lifetime. Over the past 40 years, we have never had a return for faulty workmanship, never have to effect a repair through sub standard materials, and never NEVER had a customer complaint about product performance, longevity, ruggedness “doing exactly it says on the tin”.